Through 1,036 days of the New Frontier, from the take off in a freezing Washington blizzard, to its sudden end on that bright Dallas Day, a nation was captivated by Camelot. 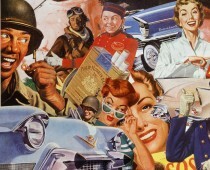 By 1961 American’s were swept up in Camelot Mania. 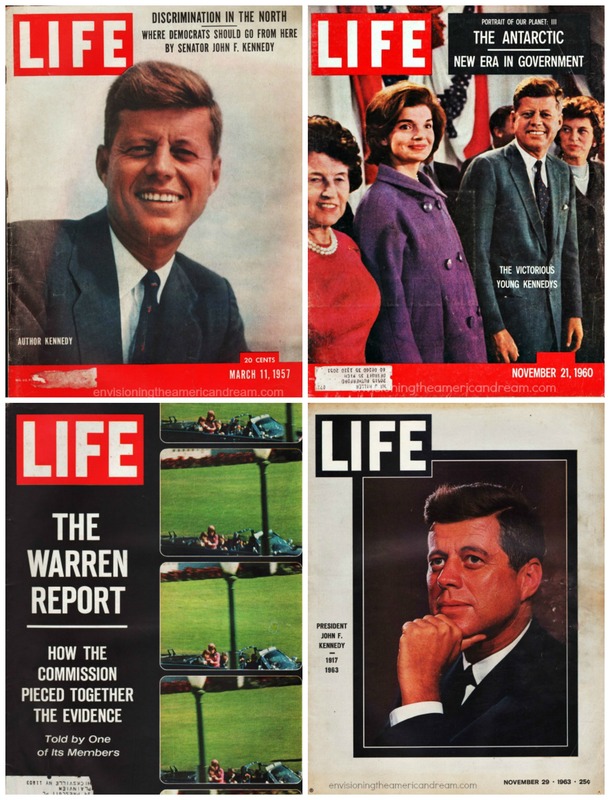 Suddenly everything concerning JFK was news and the nationwide obsession was already beyond control. The appetite for all things Kennedy was seemingly insatiable and the media was all too eager to feed the hungry public’s interests. Flash forward 50 years later and the fascination still holds. Our cravings for Camelot have not diminished. Americans still can’t get enough of Kennedy. Now on the countdown to the 50th anniversary of the JFK assassination, the interest has been ratcheted up as the media is flooded with articles, TV specials, films and stories covering every imaginable topic, angle, theory and sentiment about the Kennedy’s. The mythology lingers…we remained transfixed. We are drawn to a past that once held so much promise for the future. JFK had style-class grace elan presence and coolness under duress. The White House would jump with interesting people and unlikely happenings. 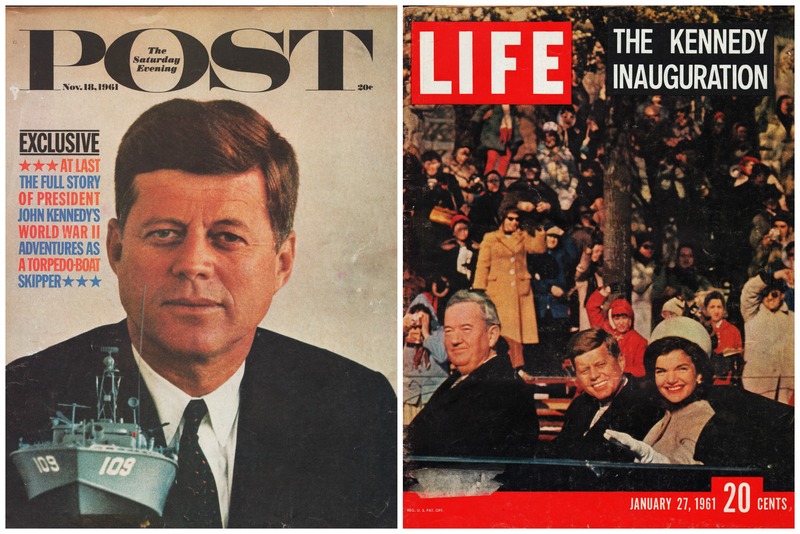 JFK would lead the US into the future and the fabulous promise of the 1960s. With a ring-a-ding-ding Americans were ready to stare in to the future that Kennedy beckoned us to. Stylishly dressed in 2 button suits, and brimming with confidence JFK had the fresh air of progress, his energy as effervescent s a bottle of Pepsi and a star struck nation was enthralled, eager to bask in his glow. Every aspect of Kennedy fed an insatiable press. You couldn’t pick up a newspaper or magazine without seeing some reference to the Kennedy family away from the family profession of politics. Robert Kennedy worried that the First Family might suffer from “overexposure.” Some voters doubtless were bored by the incessant awareness of the Kennedys. But the majority eagerly awaited the most minute detail of their everyday life. 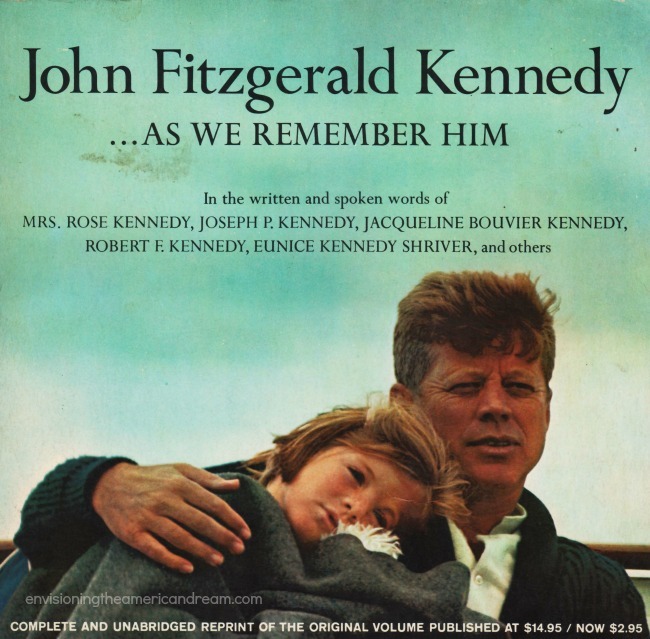 Like today, Kennedy lore was featured in films, on television, on the Broadway stage and in musical tributes. 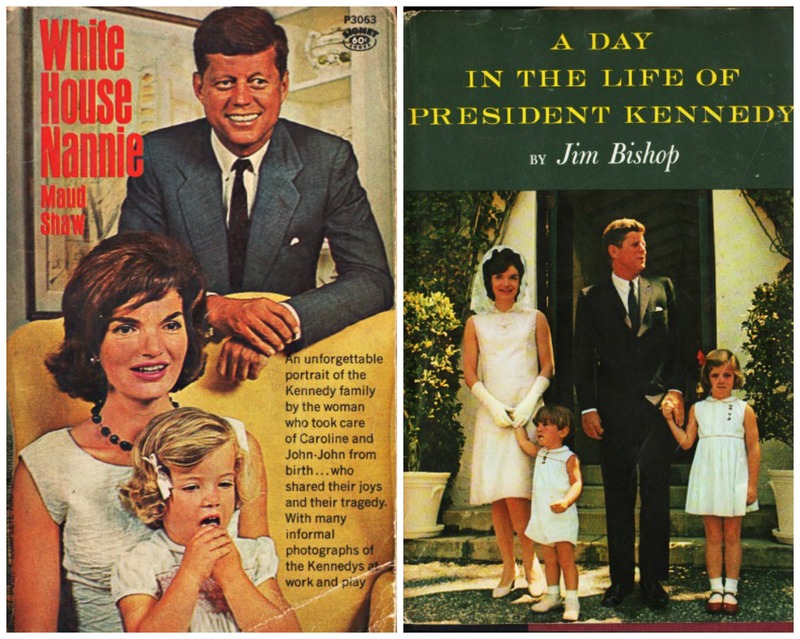 Every book shop had its department of Kennedy books of which by 1962 there were already well over a hundred. Courses at hairdresser schools gave instructions on how to imitate the First Ladys bouffant. Because her husband usually appeared bareheaded, the hat industry entered a recession. Jackie was Jacks secret weapon. 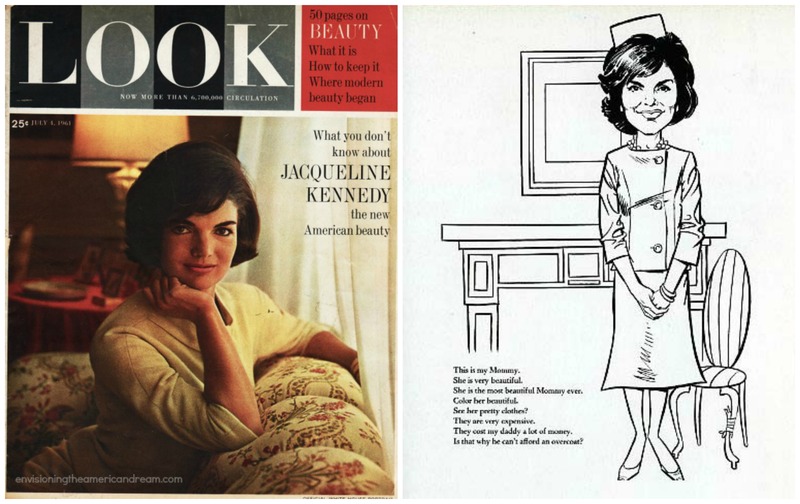 Jacqueline Kennedy was the gracious hostess and well-bred fashion Queen. Carefully orchestrated state dinners for visiting dignitaries received wide publicity. Jackie proudly showed off the way she redecorated the White House and reporters lavished attention on the high culture and taste that the Kennedy’s appeared to bring to government. The public loved Mamie but left her in the peace she craved. They demanded to know what Jacqueline wore to the last gala. 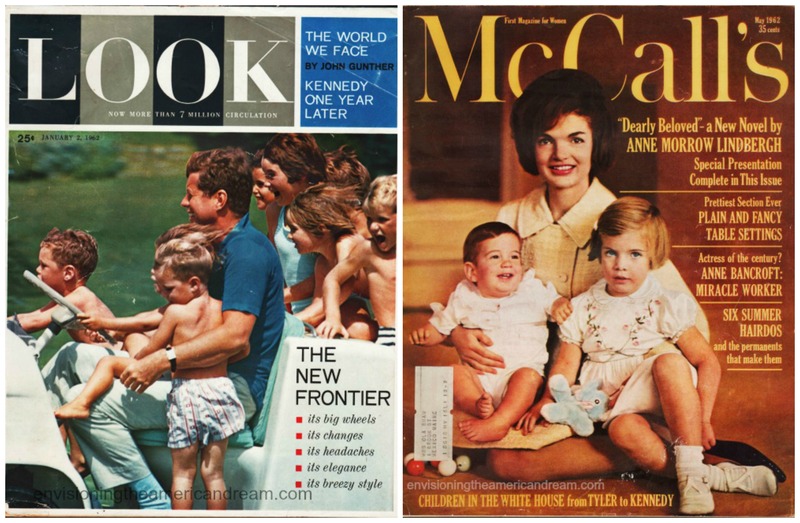 There was no escaping the Kennedy influence on popular culture- rocking chairs. 50 mile hikes, touch football, pill-box hats and Boston accents were all the rage creating a mass marketing of Kennedy inspired amusements. 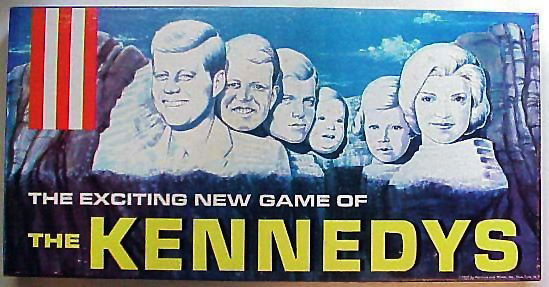 Players assume the role of one member of the Kennedy family clan and compete ( as real Kennedys do) with each other in a contest for national prominence. And 1962 was a banner year. 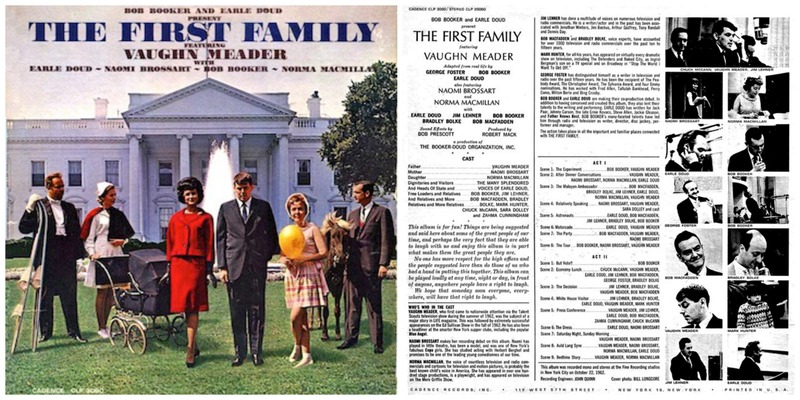 Besides the plethora of JFK board games, coloring books, and trinkets, the biggest sensation was the “The First Family” recorded by Vaughn Meader. The record album poked fun at JFK’s WWII PT Boat history, the infamous rocking chair, the Kennedy Clans athleticism, and touch football games. Vaughn Meader came to the public attention in July 1962 through an appearance on the CBS TV show talent Scouts. The studio audience erupted in amazed laughter when Meader who physically resembled President Kennedy started his impression of the chief executive during a press conference. Meaders career was launched into a short-lived orbit with appearances on the Steve Allen Show and Ed Sullivan. Recorded in October 22, 1962 “The First Family” sold more than a million copies within 2 weeks, eventually winning the Grammy for album of the year in 1963. The Kennedy’s became a boundless source of material for other comics too. But despite the quantity of Kennedy material the parodies were rarely barbed and the satire seldom stinging-it was more often the humor of endearment. Within weeks of being elected, public interest in Caroline soared and the public interest was insatiable. Everything concerning Caroline was news. 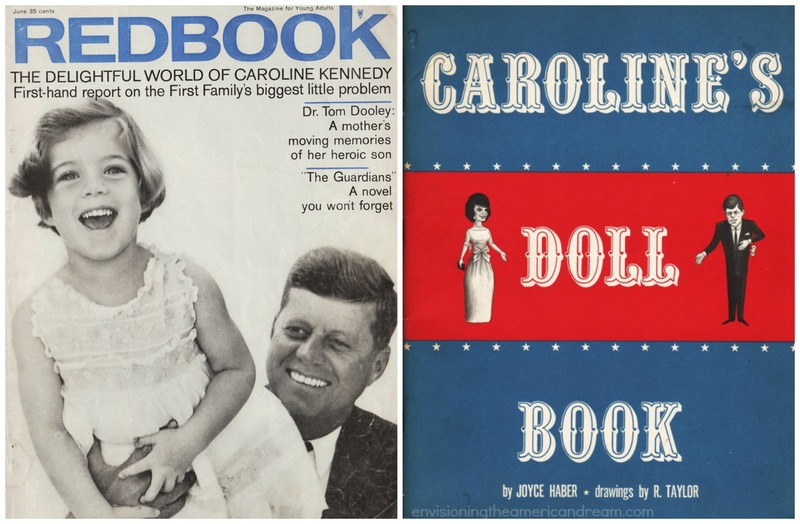 One popular parody was called “Caroline’s Doll Book” written by Joyce Haber one of the last of Hollywood’s powerful gossip columnists. Known for her barbed commentaries, the satirical book caricatured the First Family along with a collection of cold war era figures from the world of politics and pop culture.